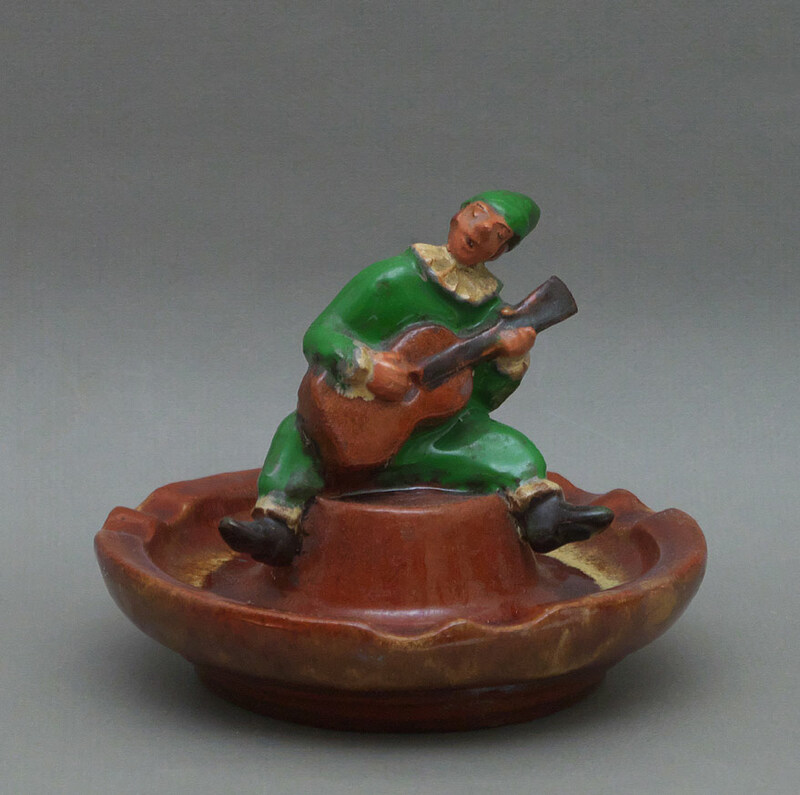 A mid-century Austrian earthenware ashtray of Pierrot with a guitar. The base of this piece is fitted with a music box movement that starts up when the ashtray is lifted. Height 6″, collection # EP26.